Ouzo connoisseurs often say “ouzo which doesn’t turn white is no good” and they’re probably right. 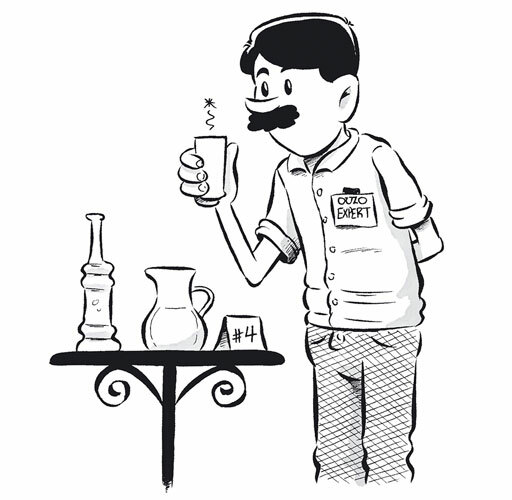 The milky-white cloudiness (louche effect) of ouzo, whose intensity depends on each ouzo distillate’s alcoholic strength and anethole content, can indeed tip you off on the ouzo’s actual quality, once you have factored in the volume and temperature of the water you have added to the ouzo before drinking it. In any case, the success of every recipe for ouzo depends not only on the quality of copper, size, and type of the pot still but also on the alcohol and the aromatic herbs that are added. Distillers have each their own secret recipe which has to do with the ratio of aromatic seeds and the fractions of the distillate used, the extraction method employed before distillation, the speed of distillation, and the size of the pot still. One way to determine if ouzo contains sufficient anethole is to mix two equal parts of ouzo and water in a glass. If the resulting liquid does not turn cloudy, it can be safely assumed that the aniseed content is too low, resulting in a weaker flavor and aroma. 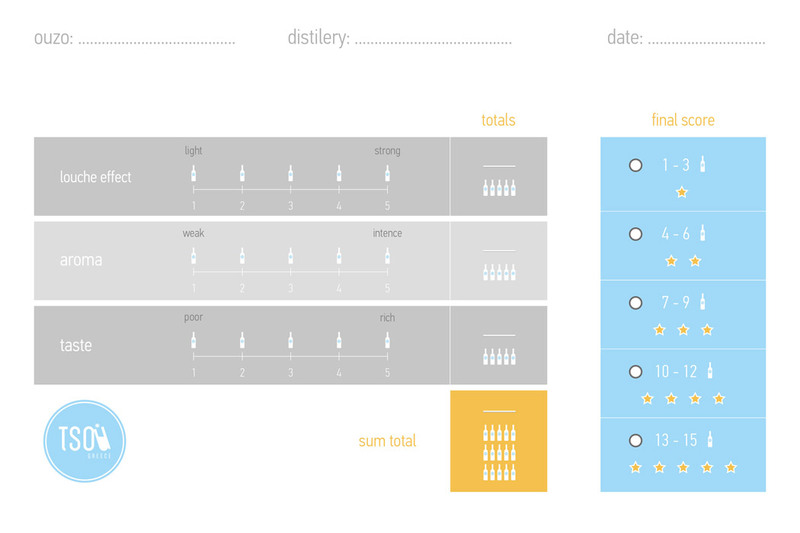 Tsou.gr has prepared an assessment sheet to help you evaluate the quality of ouzo labels you sample. Click on the assessment sheet to download it on your computer! We look forward to receiving your sheets and comments and finding out which labels will make our shortlist of top ouzos this year.